When we found out we were expecting, I will admit, I didn’t want there to be a huge fuss over the pregnancy. The baby - sure - let’s get pumped! But the idea of being pregnant didn’t exactly seem appealing to me. Nine months of giving up my body for a tiny human, searching for clothes that fit, strangers touching my belly, etc. I wasn’t into it at first. And because I wasn’t into the pregnancy, I also didn’t spend much time thinking about the THINGS I would need to make my life a little easier. I was lucky to have an easy first pregnancy. Aside from these last few weeks of waiting (which seem like torture! ), I was able to keep my normal routine and have avoided any strangers touching my growing belly - shocking! But along the way I have definitely needed some help. I found there are some purchases that are unavoidable (like buying a pair of maternity pants) to get through the third trimester. 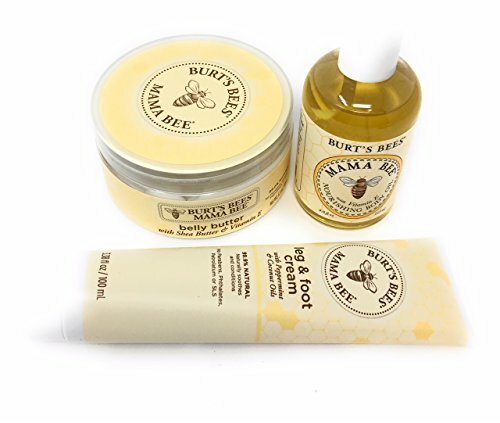 So here are the no muss, no fuss products that I think were essential for my pregnancy. I didn’t spend a ton of money on things for this temporary phase of my life before baby. But these things made the changes more bearable. Whether you are expecting a little one yourself, or maybe shopping for a gift for a friend, I hope you find this list helpful! Preparing for labor? Check out my post on What To Pack In The Hospital Bag! I was so against this purchase. It is actually hilarious looking back. I felt like I would never need this in a million years and I thought it was obnoxious! My husband (adorably) bought me a pregnancy pillow as a Christmas gift and I put it aside, thinking I wouldn’t use it. At that point I was just into my third trimester. Let me tell you - this thing is AMAZING! 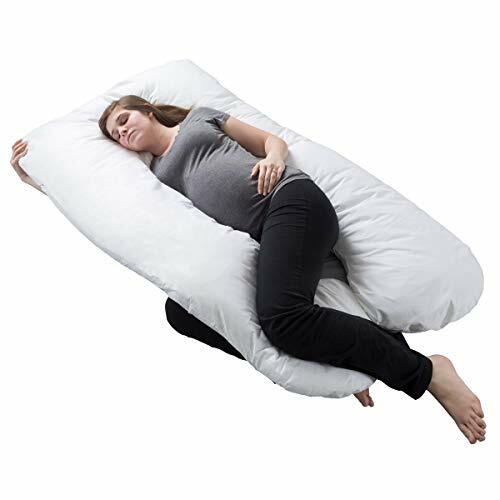 I am due in April and by February 1st I was using this pillow every night. It is so comfortable. I can’t stress this enough: you’ll think you won’t need it…until you do! Trust me on this. I loved reading this book! It is a bit of parenting advice, a bit of a story, and just got me excited to be a Mom. 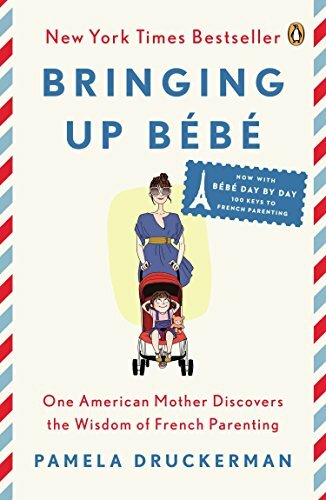 The art of French parenting is probably something I will never master, but I definitely took away some tips that I might use when the baby arrives. Mainly: trying to keep some semblance of my own identity and nurture the relationship I built with my husband, while balancing the new baby. Not that it will be easy, but this book definitely helps reinforce the idea of maintaining your separate adult life, even after becoming a Mom - which I love! Comfort is key during pregnancy. I really loved having a robe handy for evenings, while I was unwinding. And for mornings while I was trying to figure out what the heck to wear each day! 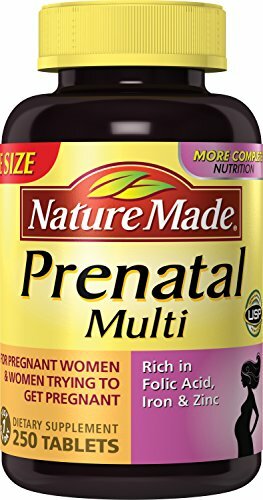 This is a no-brainer, as your doctor will tell you to start taking a prenatal vitamin as soon as you find out you are expecting. I did a little research on which vitamin brand might be best. There are mixed messages out there, but I found every site agreed that you need something with Folic Acid. 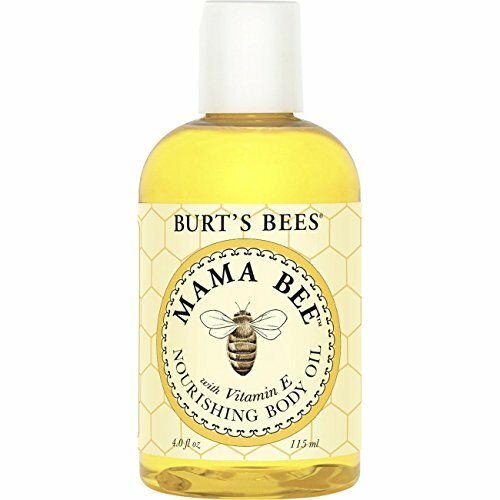 Similar to the body oil, I used the belly butter a lot during the first trimester. I eventually started using the oil every day, so I didn’t always need the lotion. I recommend using a combination of both! Sometimes if you are planning to get dressed right away, the oil might feel a little sticky, so I’d use the lotion in those cases. I also used this lotion on my legs, arms, etc. I was hydrating my skin like crazy! This thing became a lifesaver during the third trimester. I found myself using it when I felt like there was a gap between where the waist of my jeans ended and the bottom of my shirt began - I didn’t want my belly hanging out in public! So I bought the Bella Band in black and have used it at least a dozen times. You won’t need it for leggings or necessarily every day, but it is something that helps extend my wardrobe through the third trimester when everything seems like it is shrinking! Holy cow. I have never had heartburn in my life before being pregnant. It is no joke! 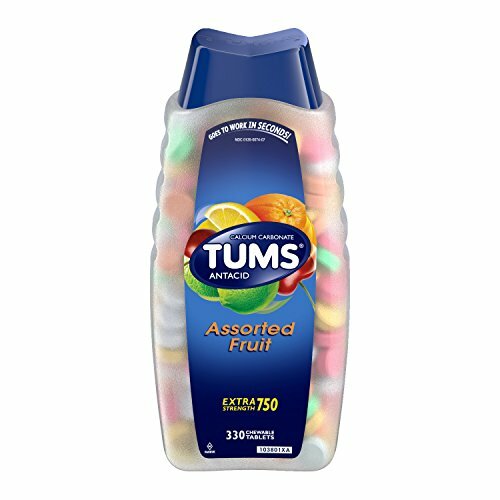 I would wake up in the middle of the night with terrible heartburn and then I finally bought some Tums. I don’t know what took me so long. I eat at least 2-3 every night before bed now. I hear this is pretty common, especially in the third trimester, so I suggest stocking up on the Tums now!